The town of Crested Butte and Crested Butte Mountain Resort are as authentic as a mountain town and ski resort can be. 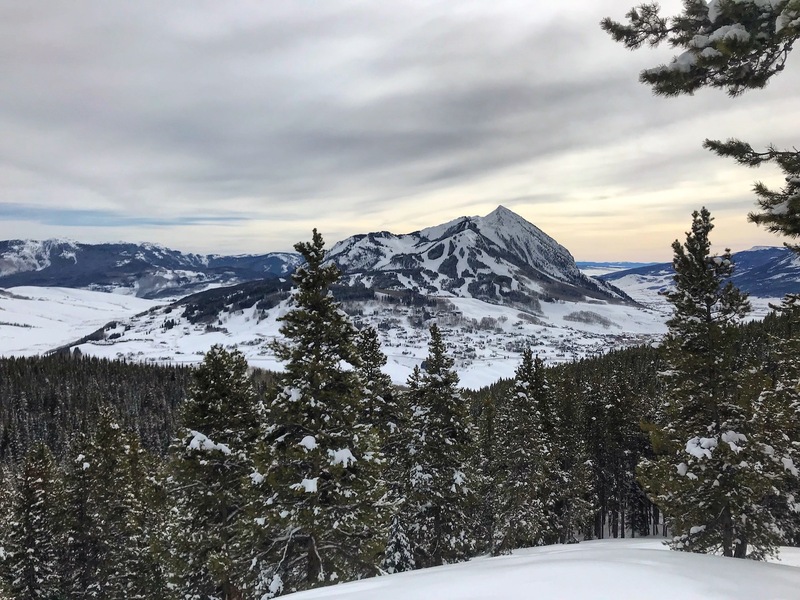 Situated in central Colorado on the southern edge of the Elk Mountains, Crested Butte is home to some of the steepest and most technical terrain in Colorado. 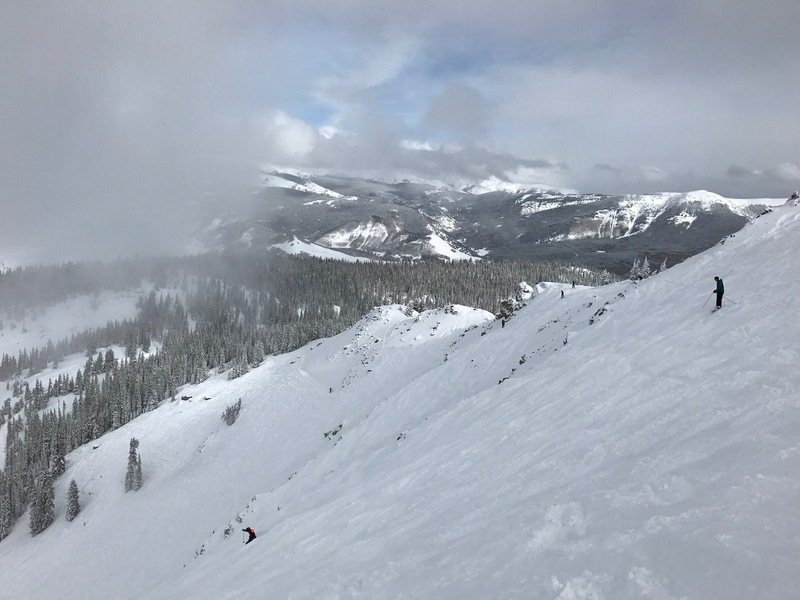 I visited CB over MLK weekend and enjoyed three days on the resort, along with 12 inches of fresh snow. Let's get started with a quick overview of the mountain before jumping into the details of my time on the resort. 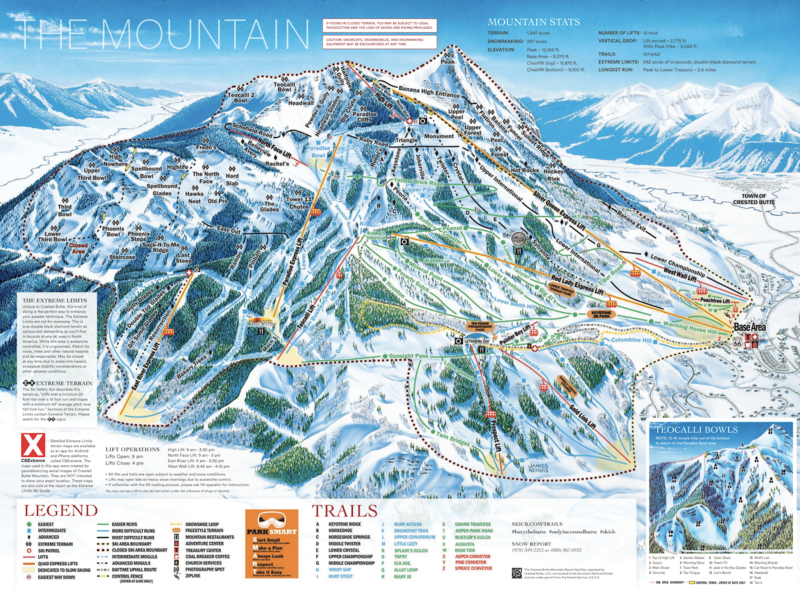 Crested Butte Mountain Resort offers 1,547 acres of skiable terrain, accessed by 15 lifts and 121 trails. The mountain stretches from a base elevation of 9,375 feet to a summit elevation of 12,162 feet. 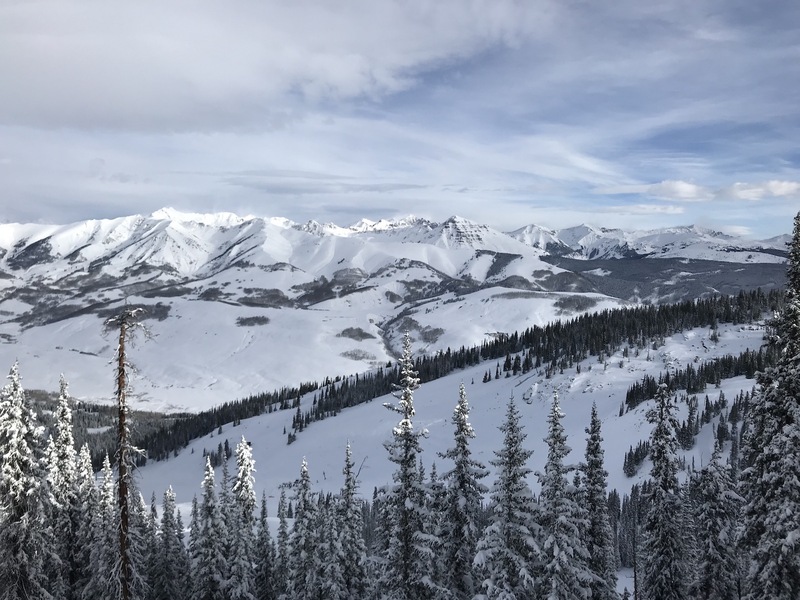 Our friends at Zrankings list Crested Butte's True Annual Snowfall at 253 inches. 57% of the mountain is considered intermediate terrain, 23% easy, and 20% difficult terrain. 45% of the mountain features a west-facing aspect, 35% north-facing, and 10% east-facing. The lift operating hours run from 9:00 am - 4:00 pm (weather and lift depending). Our trip started with the 4.5-hour drive from Boulder to Crested Butte. Instead of jumping onto I-70, we opted for the more scenic and less hectic route via Highway 285. This route brings you over Kenosha Pass and provides a beautiful view of Colorado's Mosquito Range as you make your way through Fairplay and eventually to the Sawatch Range on the outskirts of Buena Vista and Salida. It's then over Monarch Pass and through Gunnison before turning north and making the short drive into Crested Butte. When you first pull through town and up to the resort, you'll quickly know why it's referred to as "the last great Colorado ski town." You'll find that the town and resort are absent of the typical fast food restaurants but also the booshie hotels that you would typically find in any other ski town. A typical day on the resort starts with jumping in line just before 9 am to catch first chair up the Silver Queen Express Lift. This high-speed quad offers a grand view of the entire front side of the mountain as you rise towards the peak. The first option is to continue straight and then skier's left to access all of the terrain under Silver Queen. This includes Monument to Upper & Lower International, which is my favorite route on the front side to the base of Silver Queen. The second option is to go skier's right and continue down Silver Queen Road and eventually into Paradise Bowl, Upper Forest Queen, and Upper Ruby Chief. This terrain provides access to the North Face Lift, Paradise Express Lift, and the East River Express Lift. Upper to Lower Forest Queen is a great way to start your day if you're looking for crisp, corduroy turns. The third option and my personal choice is to once again continue skier's right and jump in line for the High Lift. This T-Bar lift can feature a delayed-opening on powder days due to avalanche mitigation but this is where you'll find the steepest turns on the mountain. 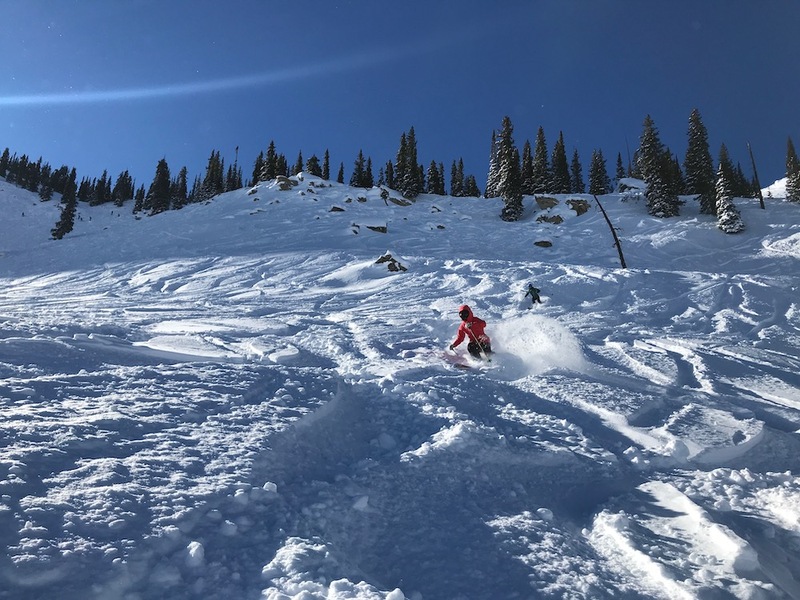 Not everyone is a fan of T-Bar lifts but the short ride provides access to the Big Chute, Headwall, Teocalli Bowl, and the Peak / Banana High Entrance (if open). 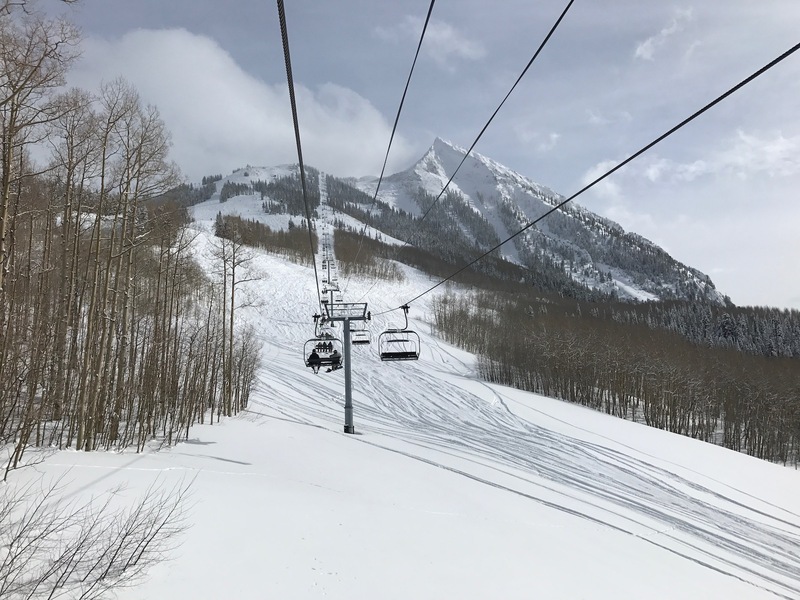 IMPORTANT: The High Lift should only be accessed if you're an expert skier or rider and feel comfortable negotiating steep and very rocky terrain. Did I mention the views? The photo below is taken directly above the Headwall Glades, with the Elk Mountains in all their glory. You could lap the High Lift for days and never ski or ride the same line twice. The only downside to accessing the High Lift for multiple laps is that you must get back to the front side and take the Silver Queen Lift back up. This requires an extra run but it's nice to throw in a groomer after working your way down Headwall. After the High Lift, we usually take a run or two off of the Paradise Lift before jumping in line for the North Face Lift. This is another T-Bar lift that provides access to steep and technical terrain but it is "slightly" more forgiving than the High Lift. Besides also being a T-Bar, the North Face Lift can be delayed on powder days due to avalanche mitigation. Keep an eye on lift operations and jump in line as fast as you can because when it comes to finding the best turns on the mountain, this is the place. The North Face, Hard Slab, Hawks Nest (photo above), Old Pro, and The Glades are all phenomenal runs. Access this area by turning left off of the lift and entering the trees skier's right. You won't be disappointed on a powder day. Once we've worked our legs with enough steep terrain, it's either onto the Paradise Lift or down to the East River Lift for grippy groomers, soft bumps, and/or powder-filled trees. This is where we'll typically spend the last hour or two of the day while continuing to enjoy the breathtaking views of the surrounding mountains. After our day on the mountain is complete, we love taking the free bus down into town for happy hour drinks and food on Elk Ave. There are plenty of options for restaurants but we always seem to end up at Secret Stash for pizza and local craft beers. If you're staying in town, start your morning with Camp 4 Coffee and enjoy a relaxing morning with breakfast at the Paradise Cafe. 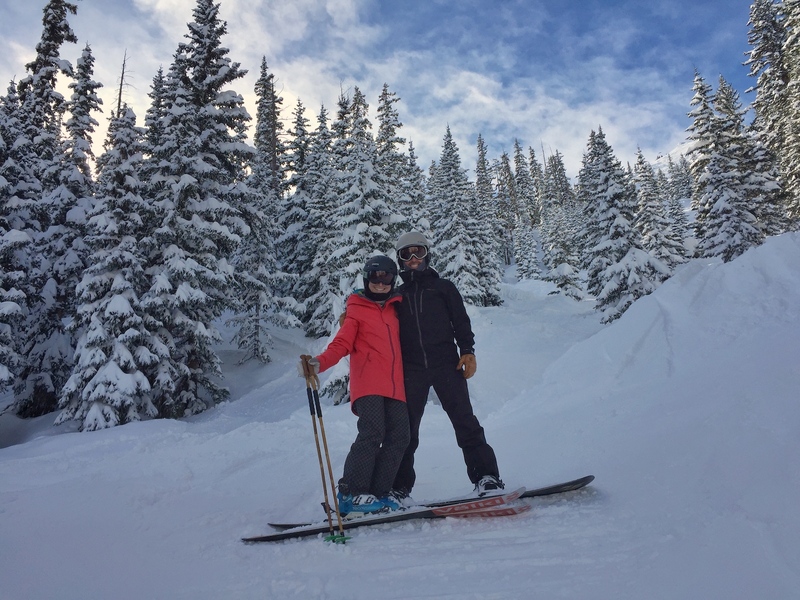 Whether you're a family looking for an authentic mountain vacation or an expert skier searching for steep turns, Crested Butte Mountain Resort checks all of the boxes. Cheers to another great trip to CB and as always, stay tuned to the Crested Butte Daily Snow to catch your next powder day. Visit SkiCB.com for all lodging, event, and other ski-related information.